Well, I’ve read and re read all of Debbie’s Vampires of America series so when I saw she’d a new series out ( at least I hope its a series) it was a cert that I’d want to read it. I don’t usually go for the space type sci-fi, but this isn’t all trailing endlessly through space, but concentrates on one planet Harp, where people from Earth took up habitation some 500 or so years ago. I was fine with the space bit in that context, and it allowed some new and unusual issues to arise. Amanda is a great lead, strong and independent but tired of living on a spaceship – she was born on one and has lived in space ever since. When they land on Harp for what should be a brief visit, she’s amazed that she can hear the trees singing – and it seems no-one else can….and she wants to stay, to find out more, to live with her feet on the earth ( well Harp earth anyway ) for a while. 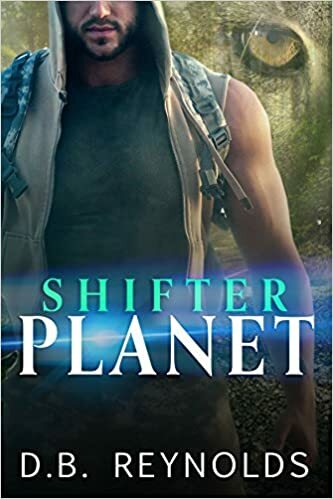 There are Shifters here, all males, all very Alpha, and its one of the things the Harpers keep quiet about to strangers. They’re in the minority of the population with the others being called Norms. Amanda seems to bridge the two – she can hear trees, which Norms can’t, but she’s female and cant shift. She takes up an apartment in town and starts exploring, but there’s a massive secret hidden from her, and when she discovers it she becomes a target and her life is in danger. The delicious Rhodry gets involved too, and the two have a long and perilous journey involving natural dangers and those made by jealous individuals, that brings them close to death several times. Its a fun read, quite simple in plot and most of the book covers this journey, but sets out politics and ways forward for more books – well, that’s what I hope. I didn’t love it as much as V of A, but it’s a first book and they often struggle with introducing a new world, set in the future here in the 4000’s and giving us a plot to start the series off. It felt a bit light for me even though the dangers were real and played out well, no superpowers found off the cuff, but good old fashioned slog and training! One of my pet hates is when characters get out of a scrape by some new unheard of superpower and Debbie doesn’t do that either here or in V of A. Its a great start and I’ll be looking for more books but hoping they get a little more complex now the setting had been introduced to us. Stars: Four, a little denser plots and this series will be a five for me.